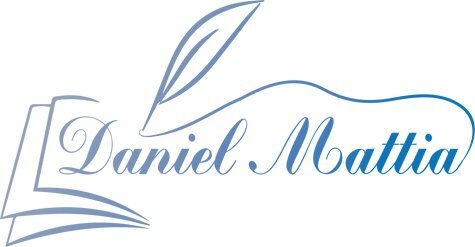 My name's Daniel Mattia. I'm a freelance content writer and editor. I make it my business to help your business succeed. I write heavily-researched, data-driven blogs, articles, and other SEO-friendly content intended to inform, inspire, and persuade your audience. My content is informing and engaging and helps you establish and grow relationships with your audience, leading to more traffic and higher conversions. I am a Providence, RI-based freelance content writer and owner of Paladin Publications. Since becoming a freelance writer, I’ve written hundreds of bylined and ghostwritten blog posts, articles, and investigative pieces. Writing has long been one of my passions. I was that weird kid in school who actually enjoyed English class (math was another story). In my teens, I combined my passion for writing with my love of gaming and founded the gaming reviews website Game Overdrive, where I recruited and oversaw a staff of writers responsible for fairly and accurately reporting on video game news, releases, and developments. During this timeframe, and on behalf of Game Overdrive, I led a successful boycott against game developers who implemented the invasive “Starforce” DRM software. After reaching adulthood and spending almost a decade working in unfulfilling jobs, I finally made my dream come true to write for a living in early 2017. It was a decision that felt completely natural and one I haven’t regretted since. As a freelance content writer, I draw upon my love of writing for every client project I’m fortunate enough to work on and treat your business — and your hopes for success — as if they were my own. I strive for integrity and accuracy in both my business dealings and my written work, and value developing strong business relationships with my clients. When you work with me, you can be rest assured that I make it my business to help your business succeed. I specialize in writing well-researched and data-driven content according to your preference in style, tone, and voice. 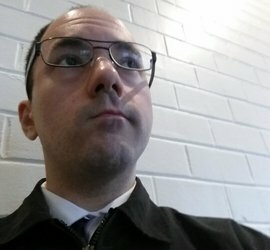 All content I write is SEO-friendly (without using keyword stuffing or any negative/black hat techniques) and is edited at least three times prior to submitting my first draft. In addition, you’re working with me, and me alone, from start-to-finish. While I may hire an editor from time-to-time, I don’t outsource any of my writing. Any content I produce is written from scratch by me, for you. There’s no cookie-cutting here (in fact, I’m a really bad baker). I’m not the cheapest writer. When you hire me, you’re hiring me based on my expertise, skillset, and portfolio. Each project is unique and my quoted rates are custom-tailored to exactly what you’re looking for in terms of how much research a topic will require, your required turnaround time, and the estimated/expected length of the project. Before any contract is sign or any word is written, we’ll agree on a price upfront that’s fair to us both so you’ll know exactly how much you have to pay. Please bear in mind that I do not charge per word/per hour for writing projects. A per-word/hourly rate isn’t fair to either of us and leads to some awkward constraints. All projects require an upfront deposit payable upon contract signing before work is begun. A sample contract can be read here. If you’re interested in hiring me for a writing project that isn’t defined above, please contact me and I’ll be more than happy to consider your proposal. Below is a sampling of bylined blog posts and web content I’ve written. If you’re considering hiring me, please glance at some of the links below to get a sense of the different types of styles, tones, and voices I’m able to write in (depending on the audience and client’s preferences). Bestow: Can You Rely on Crowdfunding for Healthcare and Funeral Costs? Brent Loe When Should Photographers Go From Side Hustle to Full-Time? Bestow Should You Write a DIY Will or Do You Need a Lawyer? Bestow How Much Does a Funeral Cost? 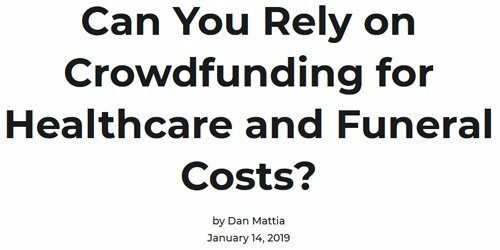 Bestow Can You Rely on Crowdfunding for Healthcare and Funeral Costs? Bestow Do Digital Nomads Need Insurance? Medi-Share What Is Life Insurance and Why Is It Important? Bestow Term Life vs. Whole Life: Which One’s Best for You? Bestow Don’t Bumble With Bundles: Should You Bundle Life Insurance? Bestow How Much Life Insurance Do You Need? The Zebra Is Your Airbnb Host Spying on You? The Zebra Do Keyless Ignitions Actually Put Your Car – and Your Life – at Higher Risk? Ensurem Is Medicare Supplement Plan F Worth the Price? Ensurem How Much Final Expense Insurance Do I Need? Ensurem Guaranteed-Issue vs. Simplified-Issue Final Expense Life Insurance: What's Right For You? Ensurem How Can I Get Medigap Outside of Open Enrollment? Ensurem Is Your Employer-Offered Disability Plan Enough? Ensurem Do I Really Need Accidental Death & Dismemberment Insurance? ValuePenguin Why Do Good Drivers Have Their Auto Insurance Rates Increased? ValuePenguin What is Temporary Car Insurance and Should I Get It? All content © Copyright 2019 Daniel Mattia/Paladin Publications, unless otherwise noted.